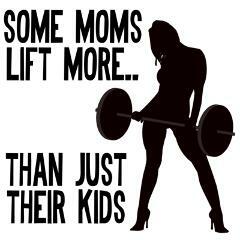 Cause some moms lift more than just their kids! In honor of the facebook page reaching over 500 followers I have decided to run a contest. I love reading stories of other people’s transformations. Weather it is to eating cleaner, having more energy, working out more, getting on stage, or beating an illness or injury I believe everyone has a story to share. So, submit you’re inspirational story to onefitmamacanada@gmail.com for your chance to be entered. Top 3 Winners stories will be featured on mamaisfitcanada.wordpress.com – Contest closes on August 1st, 2014. Win a One Fit Mama Tank or One Fit Papa T-Shirt and be featured on the website, facebook page and instagram. The real prize, inspire and motivate others. Tell me you’re story.